The Maruti Suzuki Swift was updated this year while the Hyundai Santro (below) was relaunched after four years. New Delhi: Maruti Suzuki India Ltd’s hatchback Swift emerged as the best-selling car in November, pushing down the Maruti Suzuki Alto to fourth position from numero uno in the same month last year. According to data by Society of Indian Automobile Manufacturers (Siam), Maruti Suzuki sold 22,191 Swift cars in November as against 13,337 units in the year-ago period when it ranked sixth. Retaining the second place in November was Maruti Suzuki Dzire with 21,037 units sold as against 22,492 units in November 2017. Maruti Suzuki Baleno retained its third spot with 18,649 units. It had sold 17,769 units in November last year. The Alto came in fourth with 14,378 units, Vitara Brezza fifth with 14,378 units and Wagon R sixth with 11,311 units. Breaking the Maruti Suzuki juggernaut was Hyundai Motor India Ltd’s Elite i20 that came in seventh with 10,555 units, followed by Hyundai Creta at eighth with 9,677 units and Hyundai Grand i10 at ninth with 9,252 units sold. 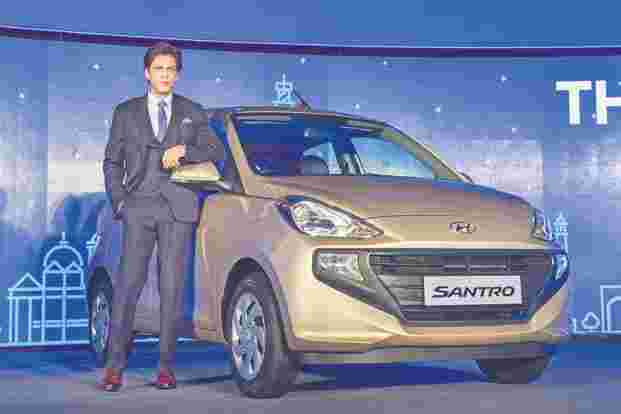 The recently launched Hyundai Santro rounded up the Top 10 cars list (essentially, a Maruti-Hyundai affair) with 9,009 cars sold in November. The Hyundai Santro was re-launched in October after it was discontinued in December 2014. Overall car sales were muted in November, as companies adjusted their inventory after a weak festive season. Subdued consumer sentiment, volatile fuel prices and inflation are likely to remain demand dampeners but new model launches in the coming months are expected to help drive sales. The coming months, however, will also bring with them car price hikes. Carmakers—from Maruti Suzuki to BMW AG—have announced price hikes from 1 January 2019 across all models.